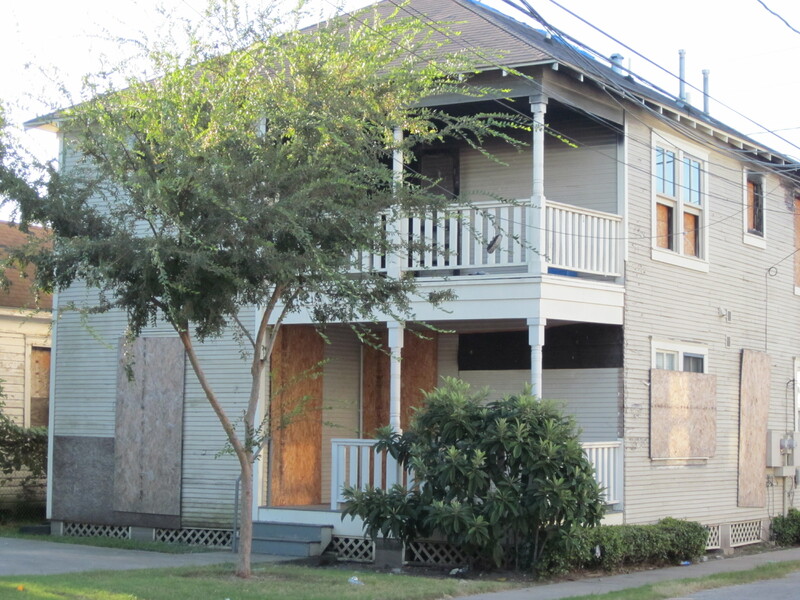 Since at least the 1970s, Freedman’s Town has experienced unsolved arson fires. 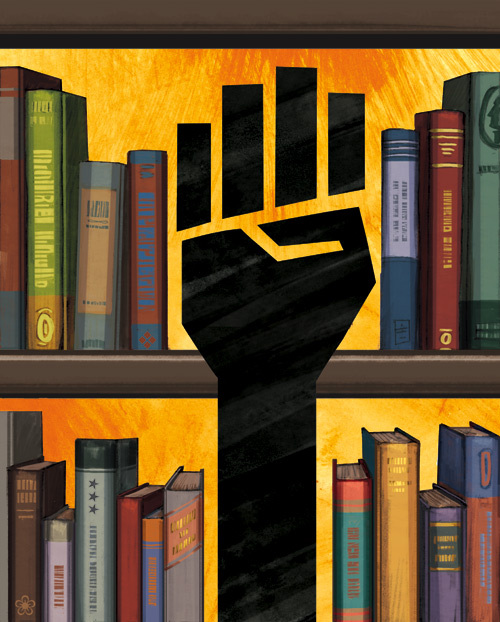 Here’s some background reading so you can understand the historic context. 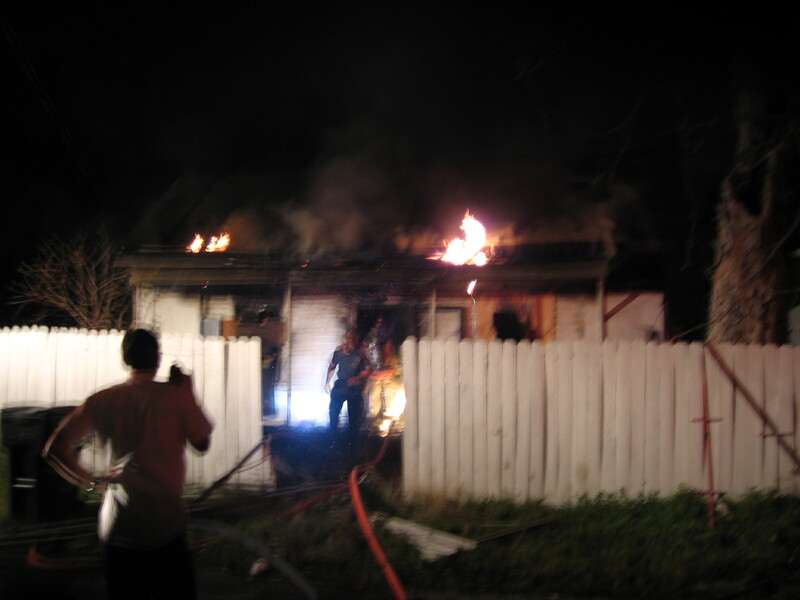 It is an article that ran as a cover story in the Texas Observer in 1991, read it here: Texas Observer 4th Ward Fires. 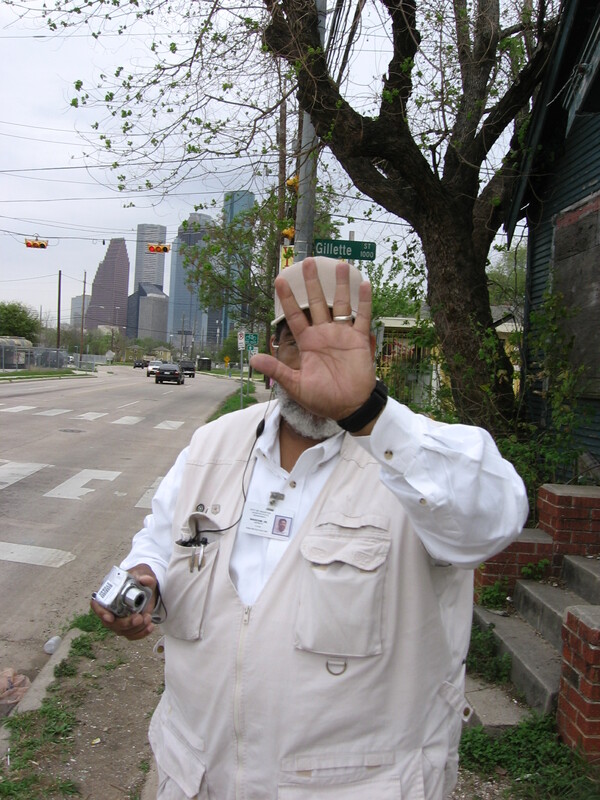 It is important to keep in mind who benefits from the destruction of old houses and churches in the inner city Freedman’s Town Fourth Ward neighborhood. It is the property developers who then buy the land and either develop it immediately or sit on it and wait to flip it for a fat profit. Flames destroy 4th Ward church HouChron 11.7.2006 About unsolved Friendship Baptist fire. Piece of 4th Ward history demolished HouChron 5.16.2008 Concerns the City’s premature demolition of Mt. Carmel MBC. Pastor- Church fire was arson HouChron 6.7.2009 Concerns Bibleway Baptist fire. 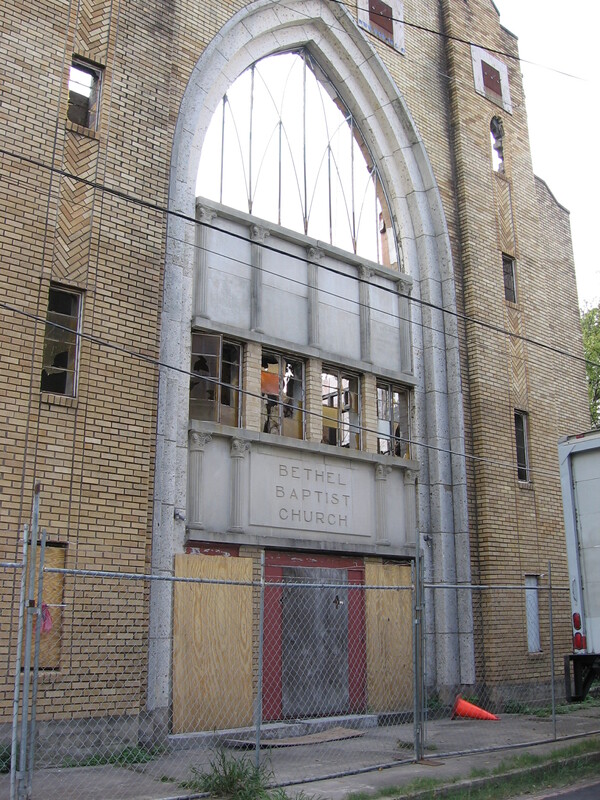 Bethel Baptist after Freedman's Town activists stopped the city from destroying it. 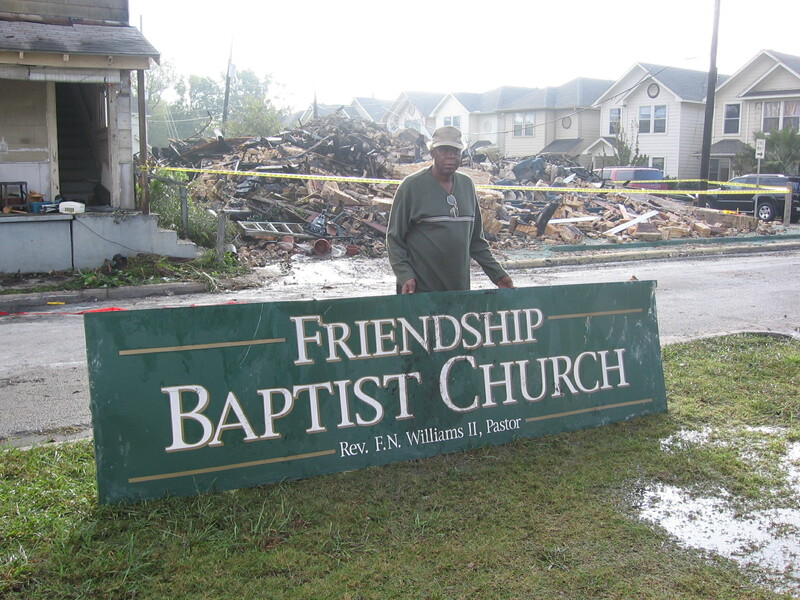 Friendship Baptist church fire video It burned down on November 6-7, 2006. Bibleway Baptist Auxiliary church was on the corner of Andrews and Mathew Streets. 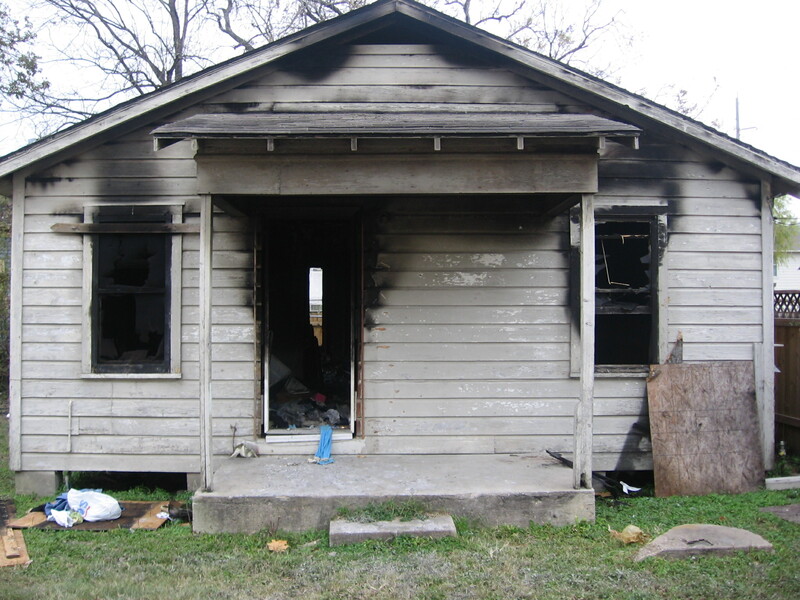 This video shows the auxiliary Bibleway Baptist Church Fire that happened June 6, 2009. 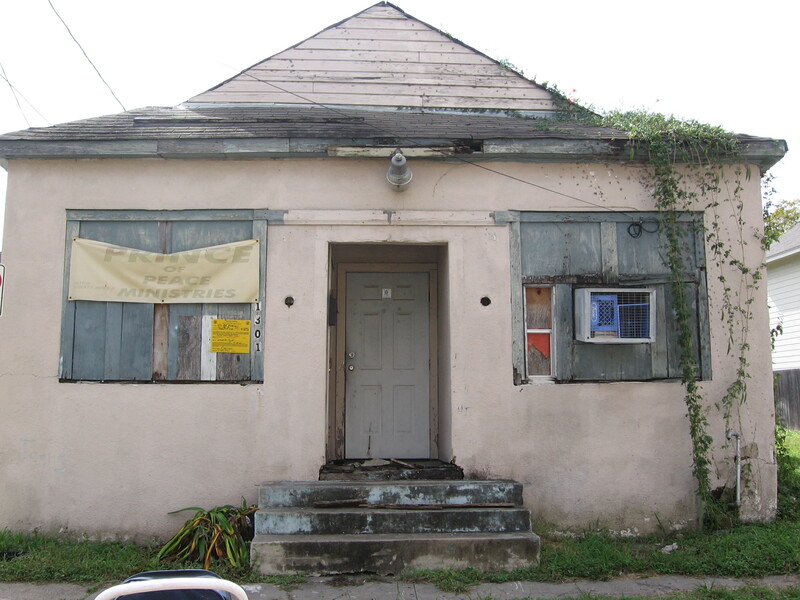 1518 Andrews Street burned in 2009. Aftermath of fire at historic "shotgun" style house on the 1400 block of Wilson Street. Picture taken January 4, 2008. Lenwood Johnson shown in the aftermath of Friendship MBC church fire November 7, 2006 Mathews Street. 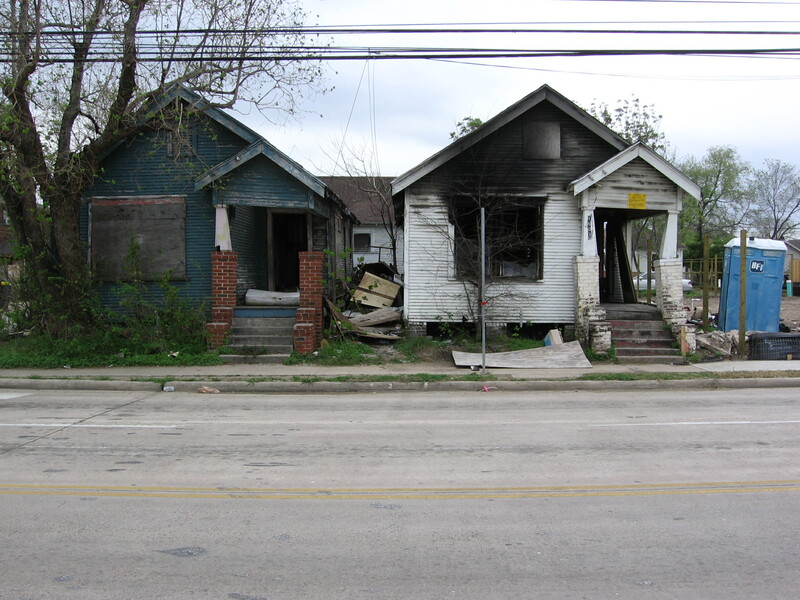 House on right is 1603 West Dallas shortly after fire. 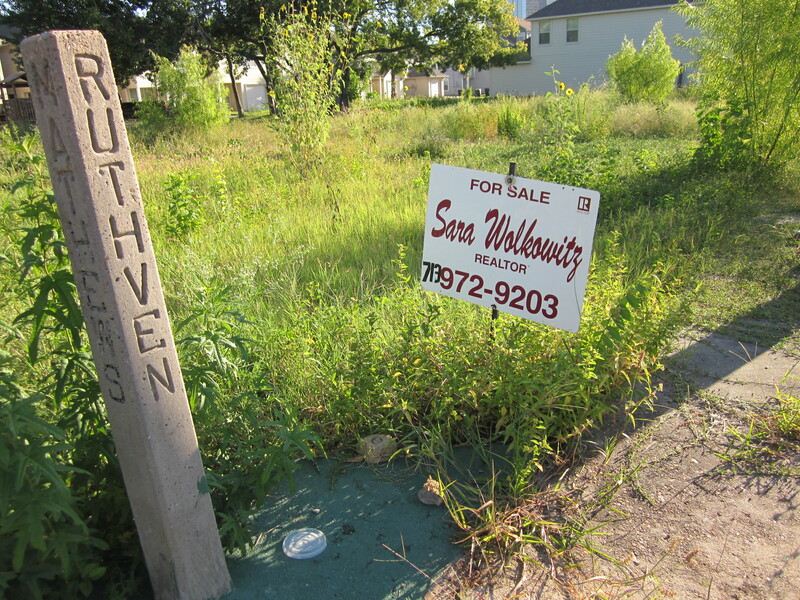 It's conveniently located to the site of new Perry Townhomes, which is out of view to the right. Portacan is for construction of those now complete homes.